Birthday Masterclass | Mr. Riggs Wine Co.
On Thursday the 30th of March, Mr. Riggs held our first Masterclass. The timing was impeccable for my birthday the following day! 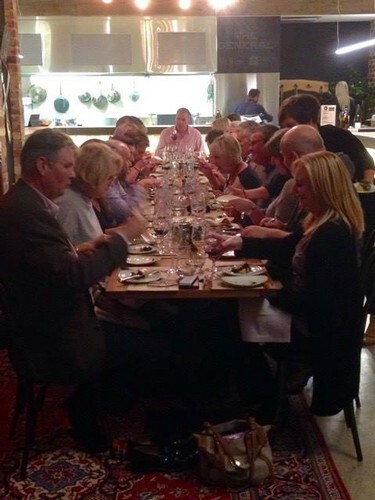 It was a really enjoyable night that paired together current wines and matched food by our Head Chef Ben Sommariva. 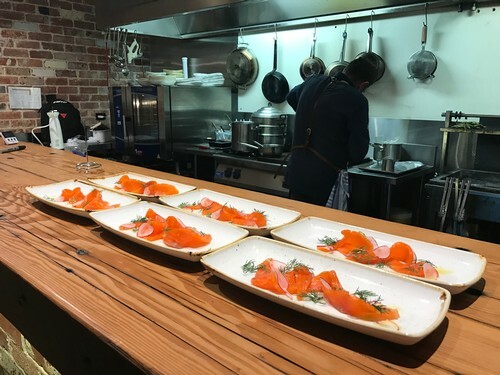 First we tasted both the 2016 Mr. Riggs Watervale Riesling, paired with Cured Ocean Trout alongside the 2015 Mr. Riggs Mrs. McLaren Vale Viognier, with Brandade. 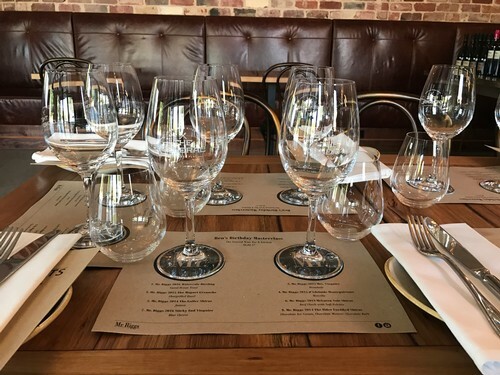 Secondly we tasted the 2015 Mr. Riggs The Magnet McLaren Vale Grenache with Chargrilled Quail alongside the 2015 Mr. Riggs Montepulciano d’Adleaide with Morcilla. 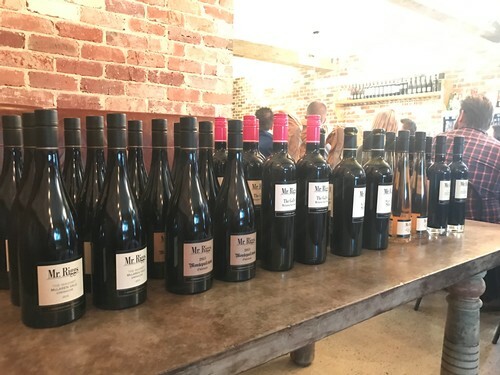 Thirdly on offer was the 2014 Mr. Riggs The Gaffer McLaren Vale Shiraz with Jamon alongside that we had the 2013 Mr. Riggs McLaren Vale Shiraz with Beef Cheeks and Soft Polenta. Finally to end our night we had on offer the 2016 Mr. Riggs Sticky End Viognier with Blue Cheese and the 2014 Mr. Riggs The Elder Fortified Shiraz with Chocolate Ice Cream, Chocolate Mousse and Chocolate Bark. A fantastic night that we hope to do more often. Below I have attached some photos of our Masterclass. 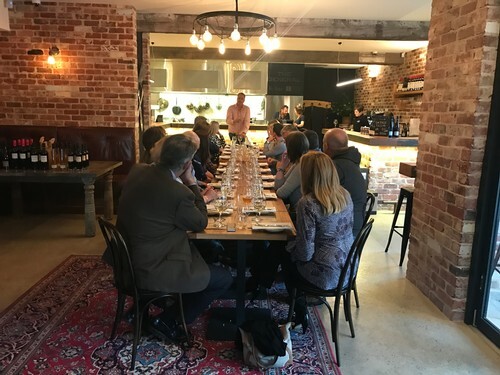 If you are intested in holding a private Masterclass please contact us on 08 8383 2050 or info@mrriggs.com.au.